Leave no head unturned. 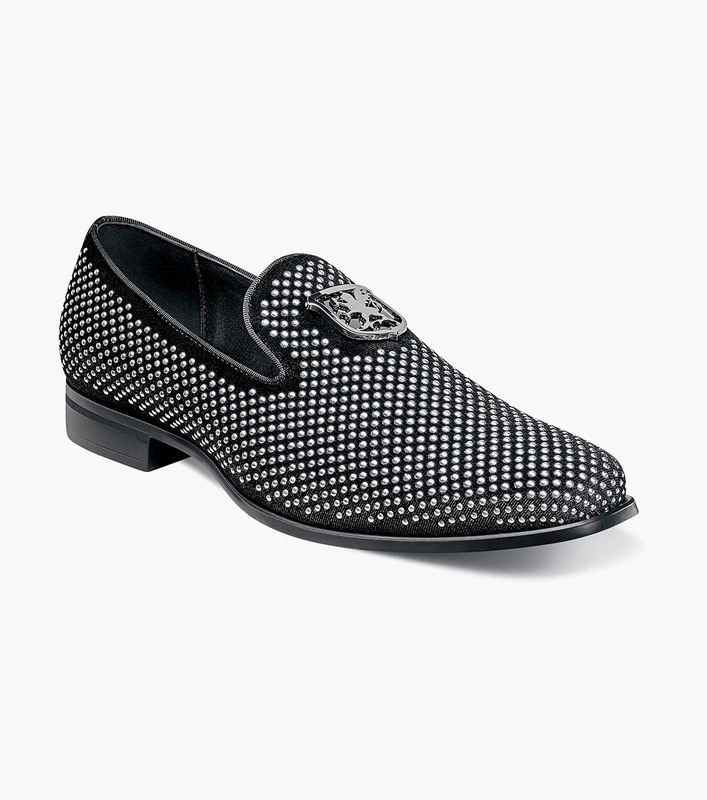 The Stacy Adams Swagger Studded Slip On features a fabric upper covered from heel to toe in dazzling studs. The dress style sole and sleek profile is topped off with the famous Stacy Adams crest. Go ahead, get your Swagger on.